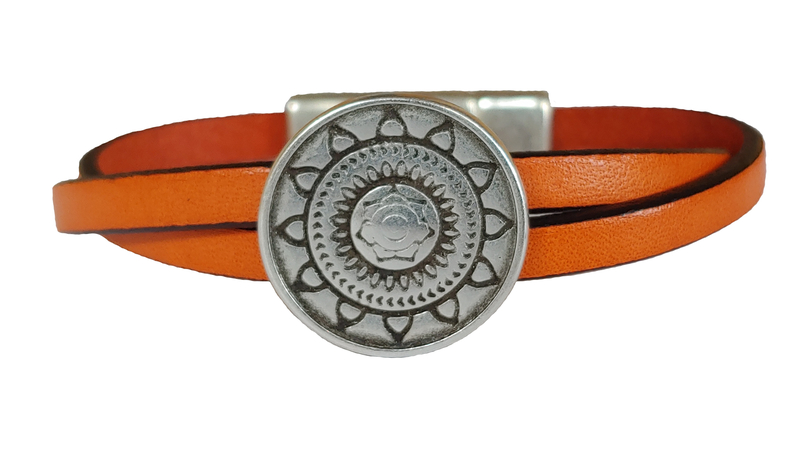 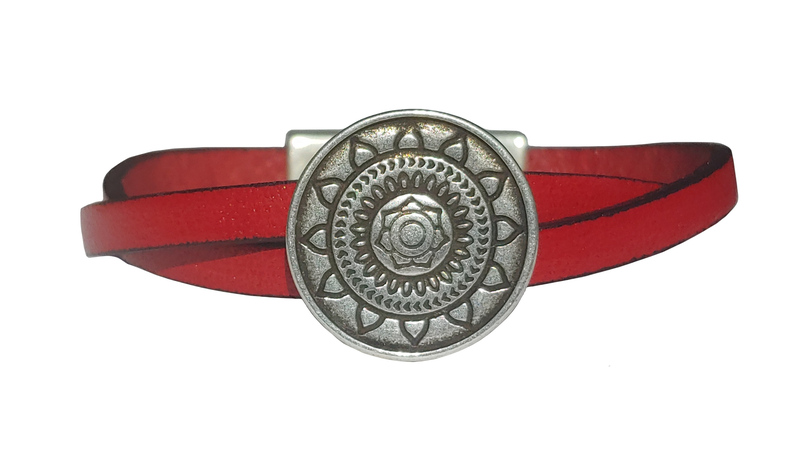 Women's leather bracelet with a plated antique sun mandala bead and magnetic clasp. 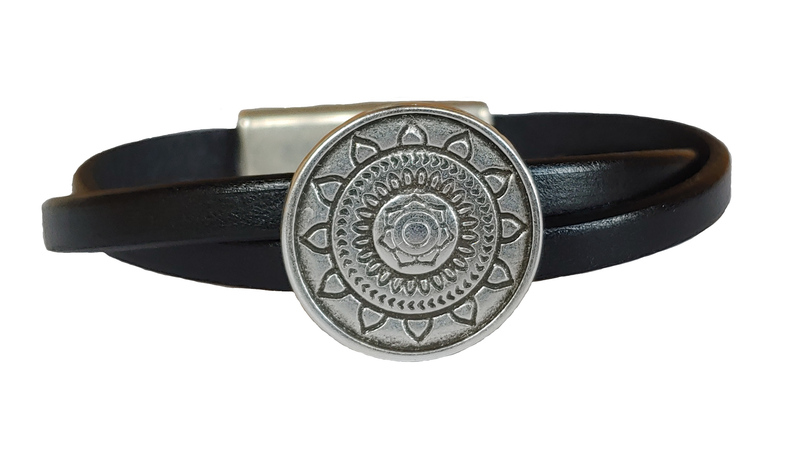 The components are made with lead-free, nickel-free pewter that is 99.9% fine silver plated. 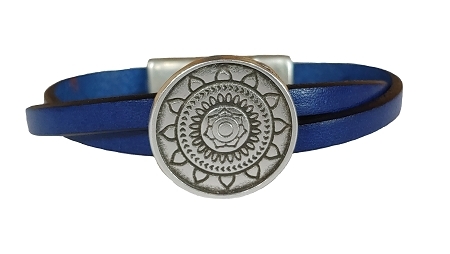 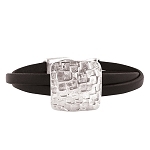 The bracelets are made with two pieces of 5 mm flat leather. 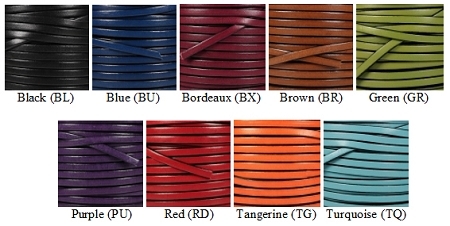 The leather colors available are black, brown, blue, bordeaux, green, purple, red, tangerine and turquoise.